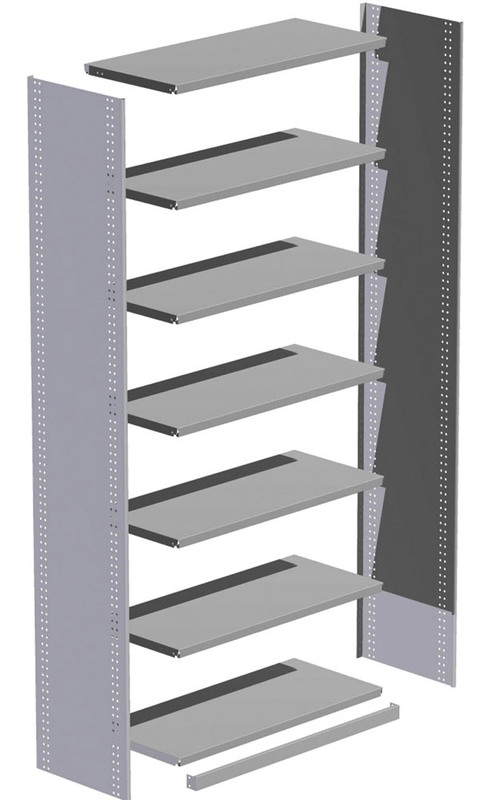 Our warehouse steel shelving is made from premium steel with durability in mind. For all of your steel shelving needs, contact the team at Colby today! Our Steel Shelves are ideal for light-duty, general-purpose applications, and are made from only the finest, long-lasting materials. Colby Storage Solutions’ Warehouse Steel Shelving is a space-efficient and economical storage system that will suit light-weight applications. Manufactured from quality steel and modular in design, Colby’s Steel Shelving has been specifically designed to ensure versatility and ease of installation. They can also be easily adjusted or relocated, as necessary. Our warehouse shelving systems can be purchased in bay configurations that are available with depths of up to 600mm, widths of 1200mm, and heights of up to 2,375mm. This Warehouse Steel Shelving range comes with a number of safety features, including a rolled edge and shelves that are fitted with double returns, which effectively eliminates sharp edges. To increase the functionality of your Steel Shelving, we also have a comprehensive range of accessories that are compatible with all of our Steel Shelves. The accessories include shelf dividers, drawers, boxes, and kick plates.